Join the new craze sweeping the nation and see if you have what it takes to crack the codes and make it to end. Each escape game is custom designed and can be set up in your own facilities or played at our Richmond, Virginia site. Details are available at http://www.escaperoomrva.com. Artifacts, clues, symbols and creative interactive materials are placed into every room, undercover! 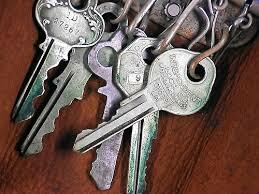 One key is hidden in every room and all keys will be needed to escape and win the game. Each room contains an exceptionally unique puzzle. For example, in one room speakers are playing loud white noise. Players will eventually find noise cancelling head phones within the room, put them on and hear a message playing at a special frequency which reveals the location of the key. In another room, players eventually realize that some of the fluorescent lights have been replaced with UV lights. When they turn these on, invisible symbols and codes materialize throughout the room. This is just a small sampling of the wicked, creative fun in store. Contact us today to set up your own Escape Game or make reservations for our Richmond Va Escape Room! If you'd like to book a room in our RVA Escape Room, Click HERE!